With the holiday season officially upon us, we need strong, efficient beauty products to power us through long workdays, holiday parties, and endless pictures. I love products that are high-powered, meaning it’s all about quality and not quantity. Products that get the job done quickly and last is what we all need this holiday season. I’ve got 3 products for you today that will propel you through this month and beyond! 1. 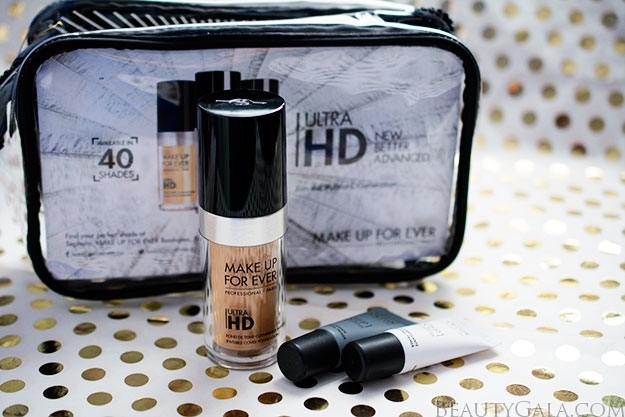 MAKE UP FOR EVER Ultra HD Foundation. This is a product I consider a holy grail in my beauty arsenal. 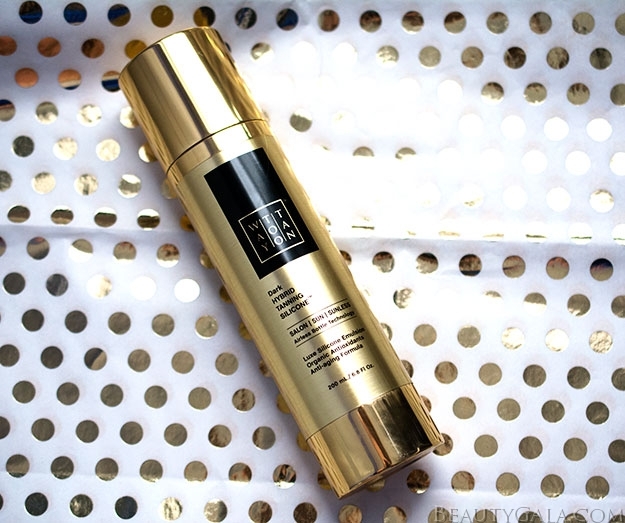 I’ve been using it for years and it will make your skin look flawless in photographs. With a lot of us attending holiday parties and get-togethers, it’s important to put your best face forward. When you apply the MAKE UP FOR EVER Skin Primer first, you will have a beautiful blank canvas to work on. I always start in the middle of my face and stipple the foundation on, working it toward my hairline. This foundation works best with stippling and patting motions versus rubbing. Not only will it look great it photographs, but it stays put for many hours without rubbing off or looking like a hot mess! 2. 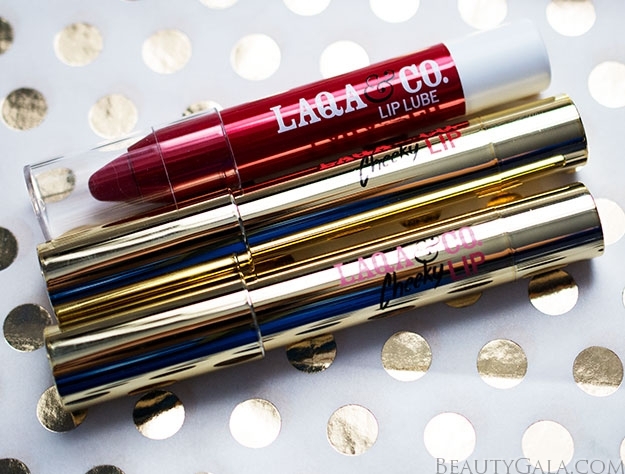 LAQA & CO. Cheek & Lip Stain, and Lip Lube. This is a fun beauty brand that gives back to the artists who design the packaging. The Cheek & Lip Stains are matte and will give you super precision with a crayon-like applicator. These are the most comfortable lip colors I’ve worn in awhile. They feel very smooth and hydrating, and even when the color has rubbed off a bit, the product leaves a stain behind for many hours on both your lips and your cheeks. It’s a great choice for those holiday events when you’re eating and drinking a lot! The Lip Lube is a high gloss, peppermint-scented lip balm that gives off a slight red pigment. Carry “Golly Gee Whiz” for a daytime appropriate lip and apply “Mixtape” at night to amp up your look! 3. WAYTOOTAN Self-Tanner. When the temperature drops, skin tones get paler and sometimes more dull. Give yourself the gift of a healthy, natural glow with this self-tanner. It contains potent anti-aging organic antioxidants to keep your skin looking youthful and silky. It also smells like chocolate, which is just divine. 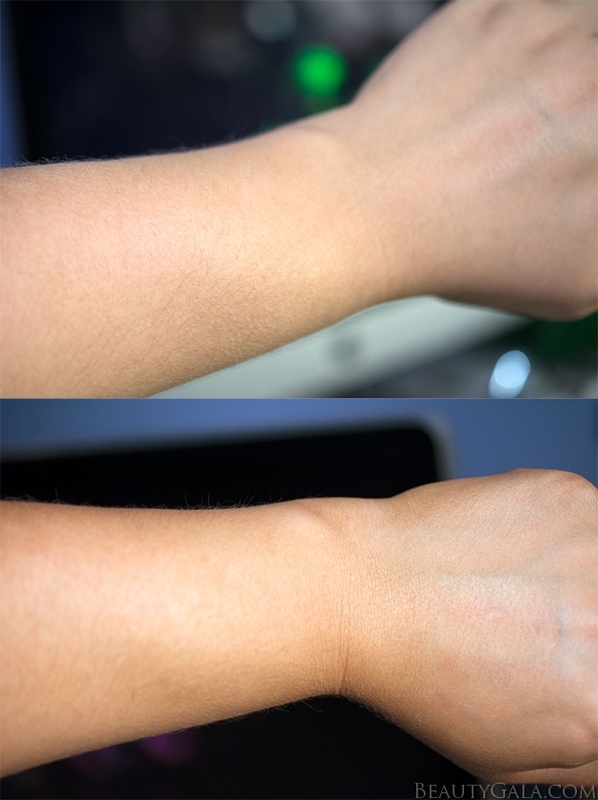 It gave me a very natural looking tan in just 12 hours. My skin looked more glowing, radiant, and a couple of shades darker! This is definitely one of the best sunless tanners I’ve used. Step out with a fresh-from-vacation tan and glow using WAYTOOTAN Self-Tanner and then apply MAKE UP FOR EVER Ultra HD Foundation on top of it for a super perfected skin look. 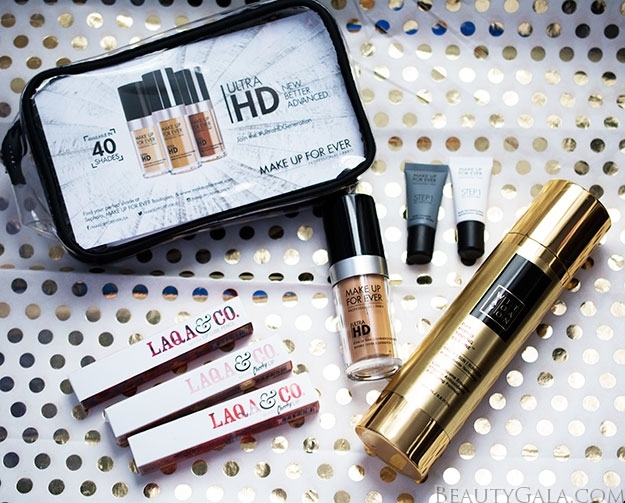 Top it all off with high powered lip and cheek products from LAQA & CO. that are both versatile and long-lasting. This holiday season, make your beauty products work for you. Choose high-powered holiday products that do the job for you!